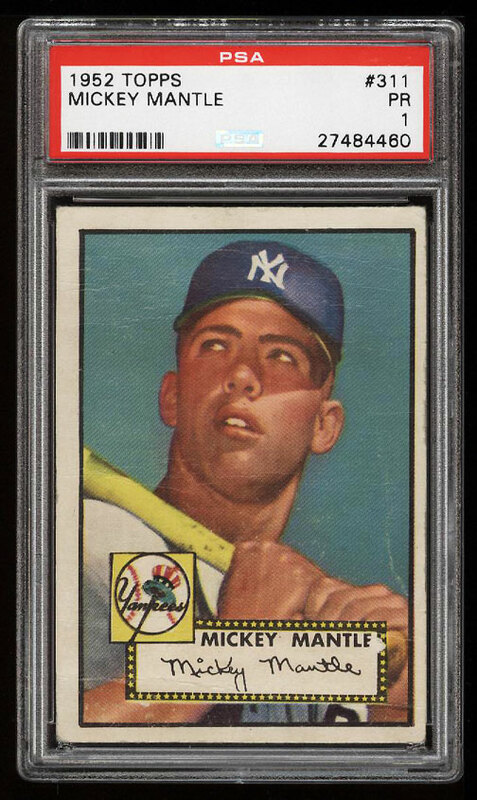 **Auction #11, Round 2** Beautiful '52 Topps Mantle with eye appeal which far exceeds the technical grade. Boasts a gorgeous front surface with highly impressive print, color and focus for the grade. Clean white borders with virtually VG corners and attractive edges. Scrapbook residue on the reverse prevents a higher assessment. An exceedingly popular and important card which shows very well throughout. Deserving of serious attention. 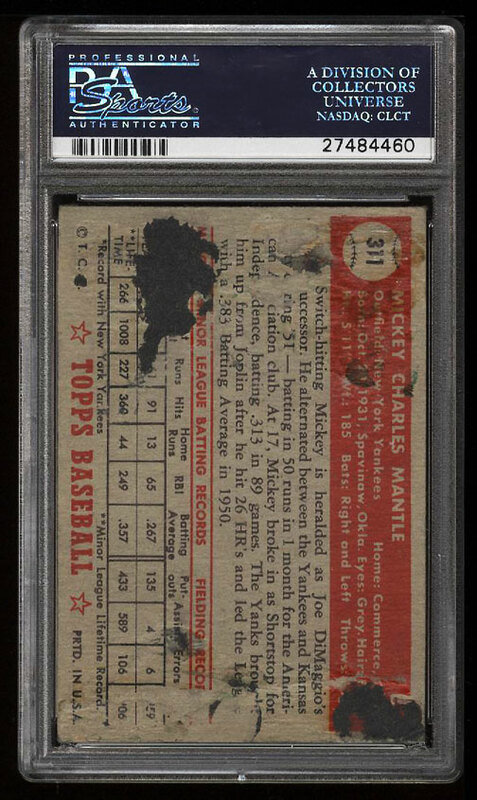 One of over 12,000 cards, lots and sets up for bid in our 11th Auction of 2017. Click on the link above to view the other PWCC auction lots.